Jenny Boully is the author of five books, most recently of the mismatched teacups, of the single-serving spoon: a book of failures (Coconut Books). Her other books include not merely because of the unknown that was stalking toward them (Tarpaulin Sky Press),The Books of Beginnings and Endings (Sarabande Books), [one love affair]* (Tarpaulin Sky Press), and The Body: An Essay (Essay Press). Her chapbook of prose, Moveable Types, was released by Noemi Press. Boully’s work has been anthologized in The Best American Poetry, The Next American Essay, Great American Prose Poems: From Poe to the Present, and other places. She teaches at Columbia College Chicago. We wouldn’t “miss” an opportunity to go Behind the Sestina with Boully to discuss her “Sestina of Missed Connections” featured in The Incredible Sestina Anthology. When I was in my sophomore year of college, I took home the weekly packet for my creative writing workshop and was looking it over with another classmate. We were both stuck on one poem that seemed to break many rules of poetry that we had learned. Why does it keep using the same words over and over and repeating itself? We made notes to such affect. My classmate read the poem out loud to me in a mocking manner. It was about meeting someone and getting their phone number and looking at the number in a bathroom stall. The subject was incongruous with the good, engaged, devout Southern girl who wrote it. When the poem was workshopped, I then learned it was a sestina, and I forgave it its repetition and inability to move past a moment in a timely fashion. Have you written any other sestinas beside this one? I can’t seem to find any evidence, and I have all of your books! Part of me wants to say “yes” and send you on another hunting spree, because I like the idea of Daniel Nester the Sestina Hunter. I have written another sestina, but it was never published [I want to see it-Ed.]. It’s in my BA thesis. Someone gave me the end words, I wrote the sestina, then she got mad and said I stole her sestina. I also like the idea of Jenny Boully the Sestina Thief. Where did you get idea of poem, of using the language of “Missed Connections” ads? Presumably from Craigslist? section was always highly amusing and also sad. People who posted there seemed crazy, desperate, sad, hopeful. I also thought that sestinas were crazy, desperate, sad, and hopeful. The end words of sestinas seemed to be “missed connections” to me, especially when the writer got inventive with variations on those end words. Have you ever placed a missed connections ad? I have not placed a missed connections ad, but they continue to draw me in. I have this idea that the language of missed connections speaks to other parts of your work–the idea of intimacy and language and the missed connections of meaning. Or am I completely off track? You’re not off-track at all–and I love that you’ve come up with this rubric, which makes a lot of sense to me. I love the idea of the metaphor of “missed connections” and how it can play out in a multitude of ways, especially in reading, which is a major inspiration in my work–the idea of misreading books, the everyday, experience, relationships, trying to discern the mundane and the miraculous. I would dedicate this sestina to the woman who wrote that one sestina I encountered in my creative writing packet during sophomore year. 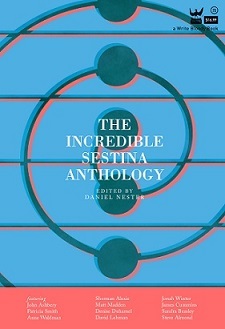 I am only realizing now that both of our sestinas mention a phone number; her sestina was about a made connection, mine about a missed, however metaphorical. This entry was posted in Behind the Sestina and tagged Behind the Sestina, craigslist, Daniel Nester, jenny boully, missed connections, Poetry, Sestina, sestina of missed connections, The Incredible Sestina Anthology. Bookmark the permalink.